The daughter of a respectable upper-class family, Mary Cassatt decided at an early age to become an artist against the wishes of her father; her determination and talent led her to become the most distinguished woman painter of her era. 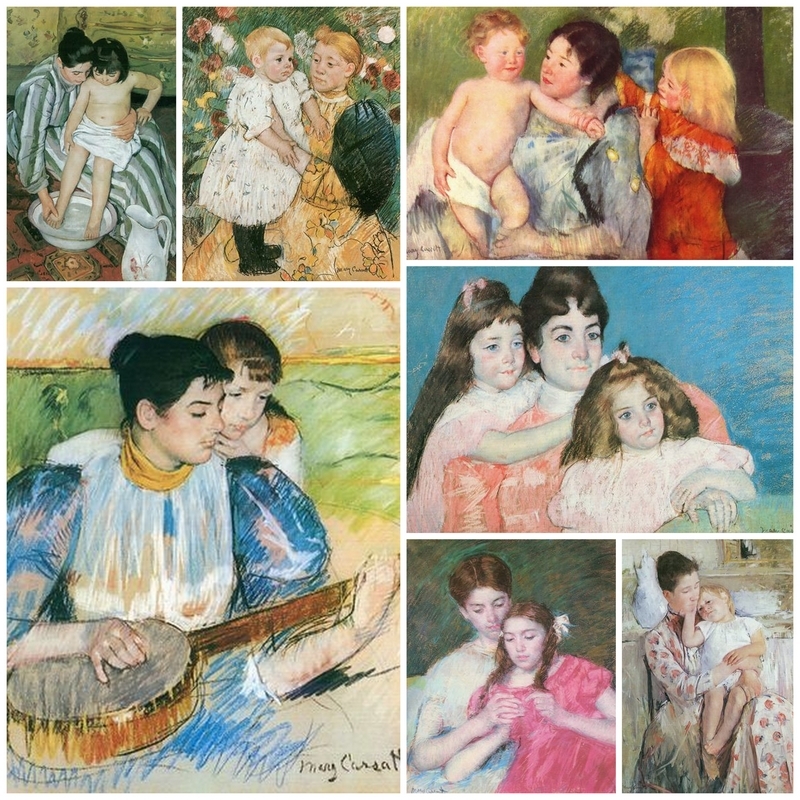 Her paintings, drawings and prints portray in particular the manifold activities of a bourgeois woman’s life during the late 19th century; in the inner concentration and reflectiveness of her female subjects Cassatt created a new feminine image that challenged the traditional iconography of woman as simply a beautiful object of the male gaze. Cassatt was the fourth child of the banker Robert Simpson Cassatt and Katherine Kelso Cassatt, an unusually cultivated and well-read woman. Mary was exposed to the art treasures of European museums while still a child during a four-year sojourn of the family in Europe. At seventeen she prevailed against her father and began to study art, first at the Pennsylvania Academy of Fine Arts in Philadelphia and later with a teacher in Paris. But she soon left her teacher’s studio to work on her own. “The teaching of museums is sufficient,” she believed. With tremendous self-discipline she studied the works of masters like Correggio, Velasquez and Rubens, traveling to Italy, Spain and back to Paris. Her paintings were soon being accepted for exhibition by the very selective and conservative Paris Salon. When Degas attempted to win the young artist for the new movement of the “Indépendents” (later called Impressionists), she did not hesitate: “I accepted with joy. Finally I would be able to work with absolute independence and without concern for the eventual judgment of a jury! … I rejected conventional art. I began to live ….” Thus also began a long-lasting and mutually productive friendship with Degas. Cassatt exhibited her works with the Impressionists, and through her connections helped to introduce this movement to the United States. 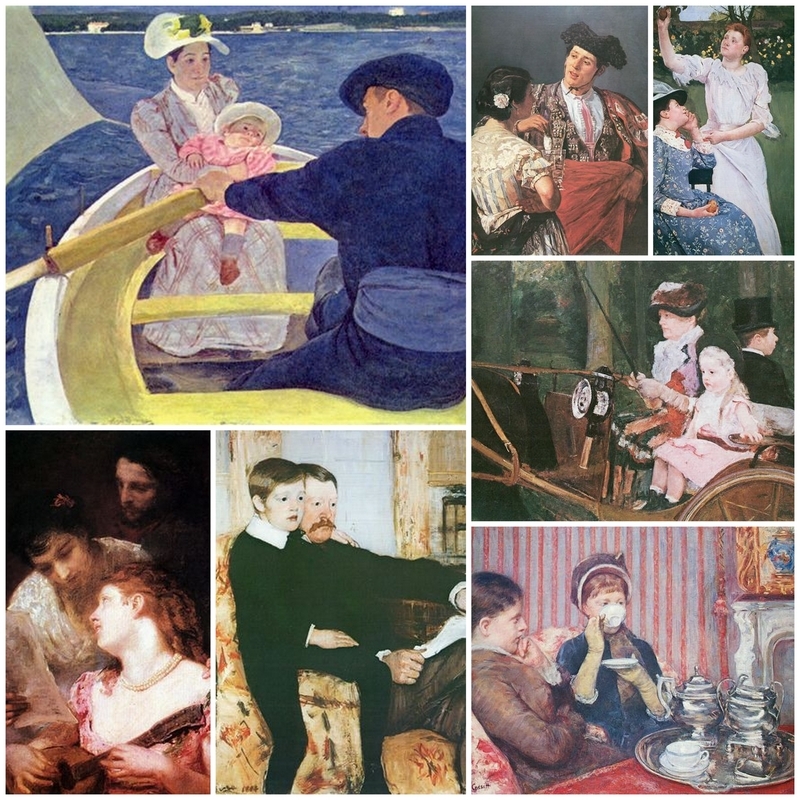 Cassatt’s subjects were most often girls and women, engaged in reading, sewing, taking tea, attending the opera, caring for children. 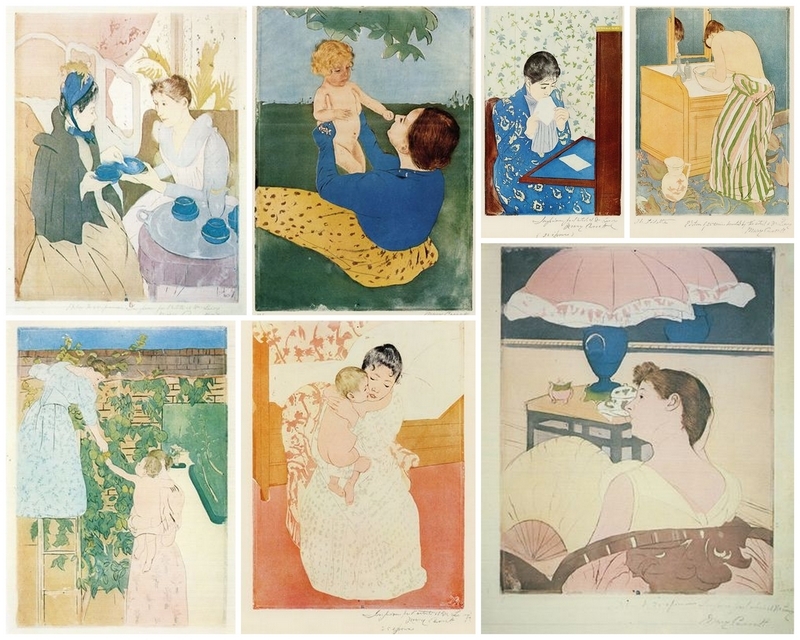 Influenced by Japanese graphic art which she was able to view in a Paris exhibit in 1890, Cassatt developed new techniques and produced a masterful series of ten color prints, considered an artistic tour de force. Her parents and sister Lydia moved to Paris in 1877, and for 18 years Cassatt had the responsibility of managing a large household as well as her work. In 1904 she received the French Légion d’honneur but was for years not appropriately acknowledged by her own compatriots. As an American Cassatt has also been somewhat marginalized by European art history, although she lived virtually all of her adult life in France. 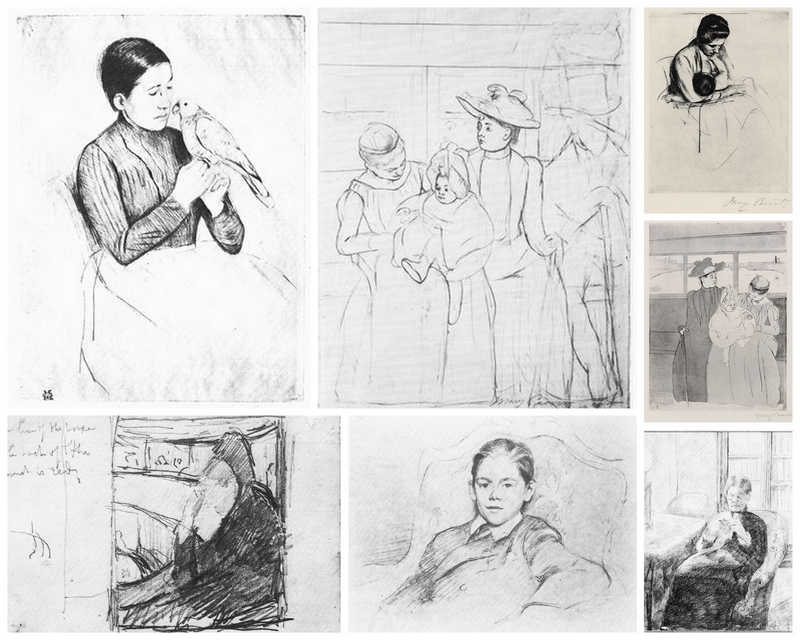 For struggling female art students such as May Alcott (the sister of Louisa May Alcott), however, Mary Cassatt was the most highly admired woman in Paris; generous and helpful, she was above all an inspiration to the younger women through her unshakeable devotion to her art. Chadwick, Whitney. 1990. Women, Art, and Society.London: Thames and Hudson. Hale, Nancy. 1975. Mary Cassatt. New York: Doubleday. Pollock, Griselda. 1980. Mary Cassatt. London: Jupiter; New York: Harper. Roudebush, Jay. 1979. Cassatt. New York: Crown. Sweet, Frederick A. 1971. “Cassatt, Mary.” NAW. Sweet, Frederick A. 1966. Miss Mary Cassatt. Impressionist from Pennsylvania. Norman, Oklahoma: Univ. Oklahoma Press.